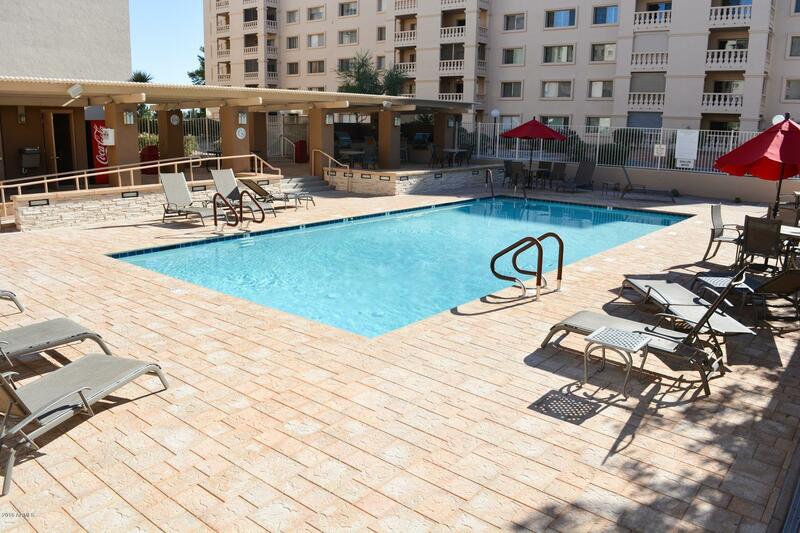 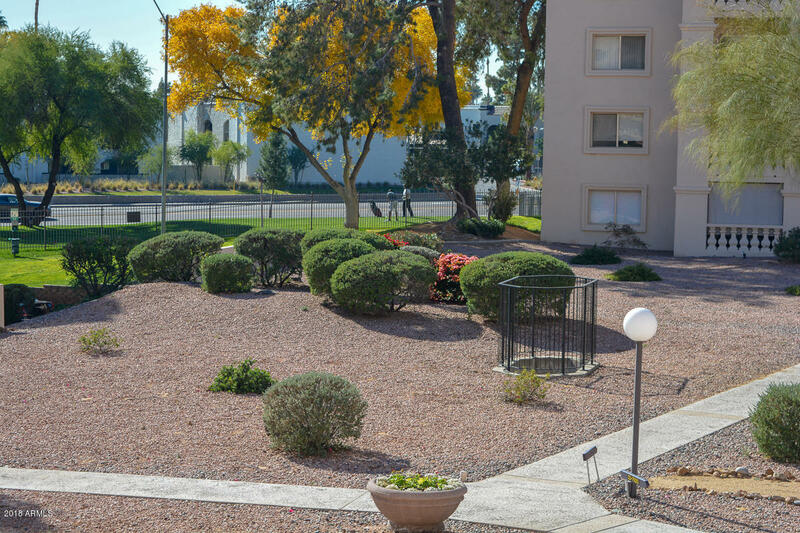 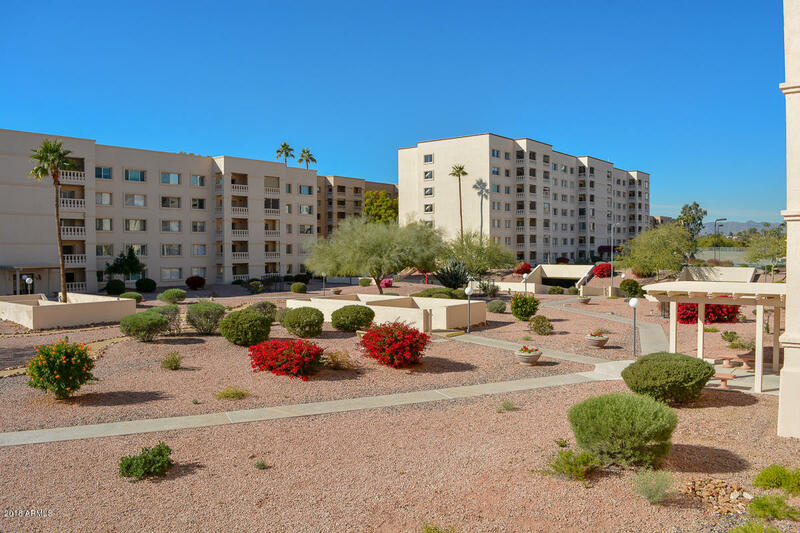 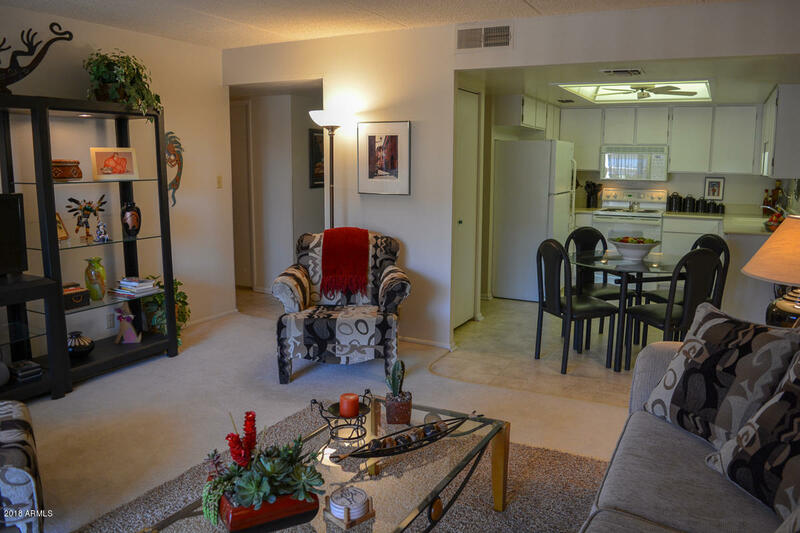 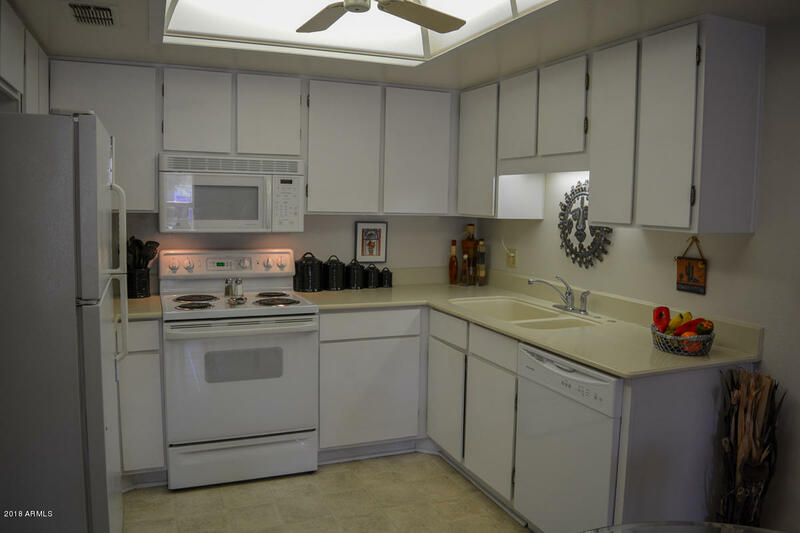 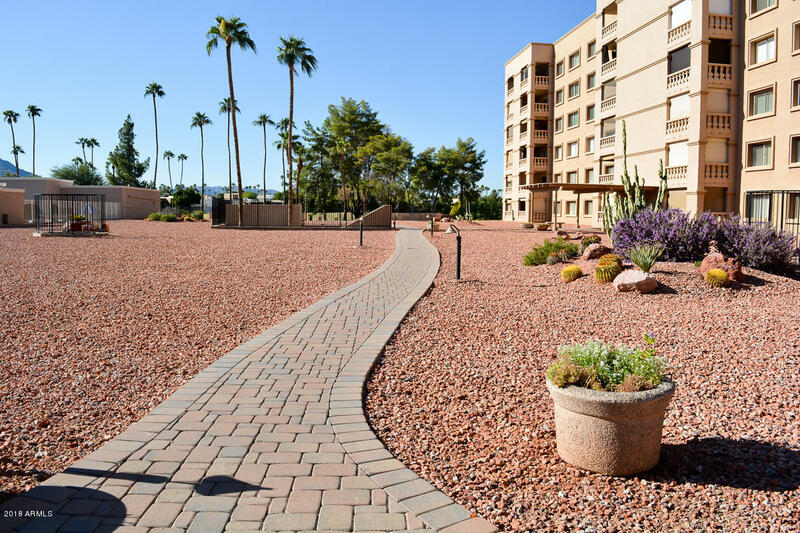 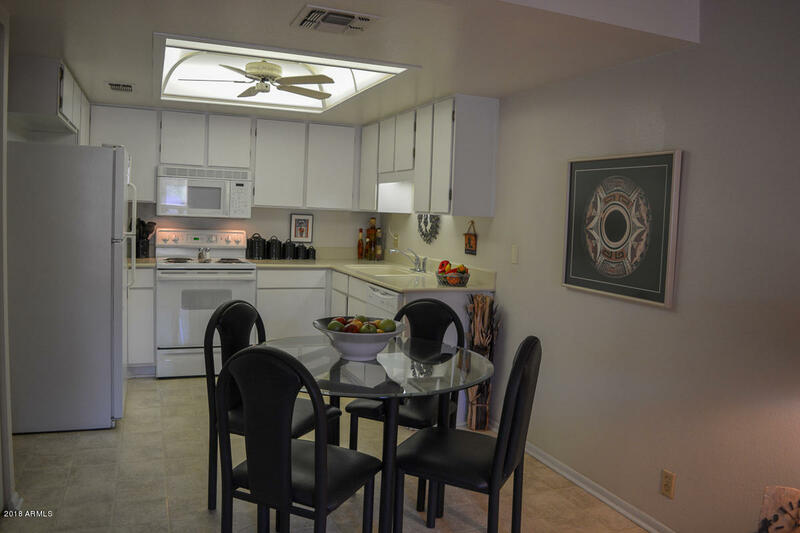 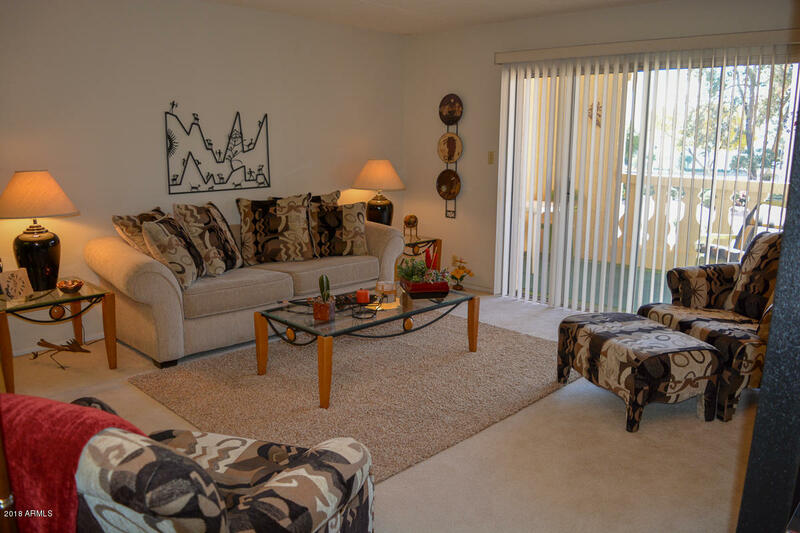 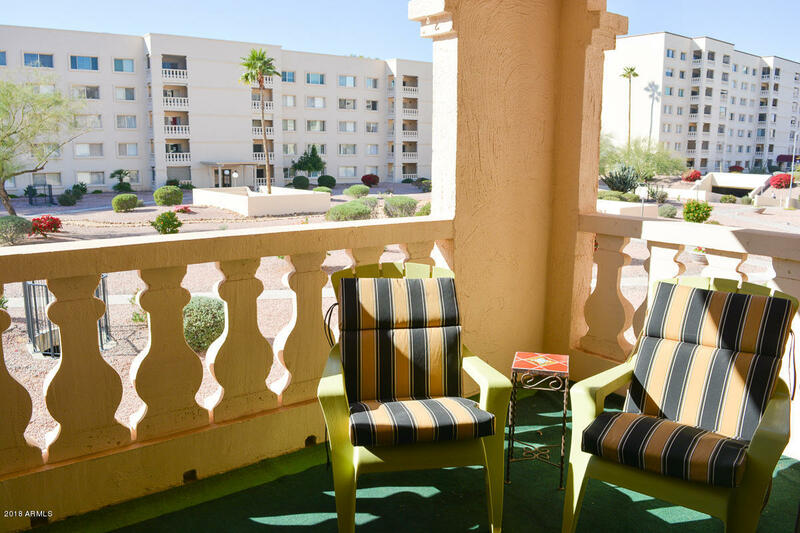 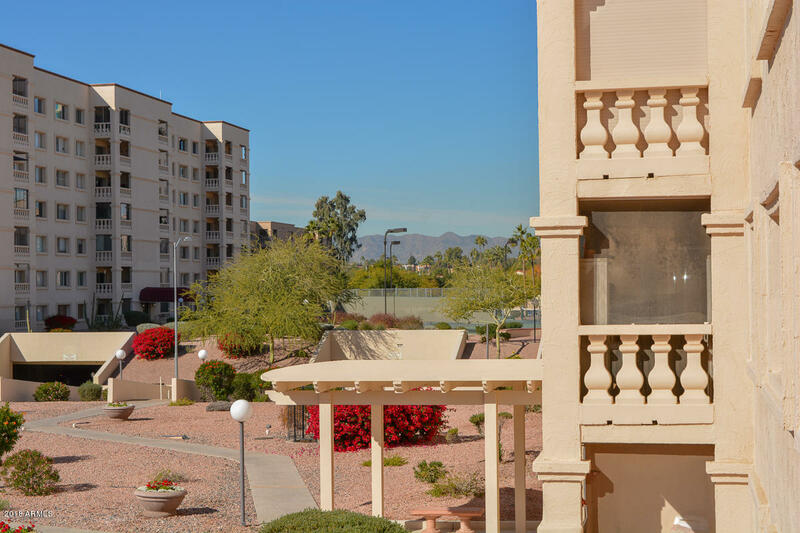 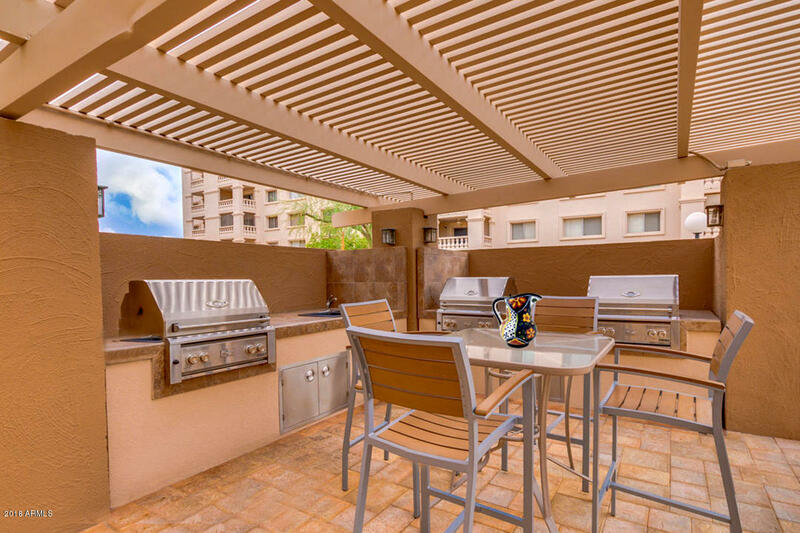 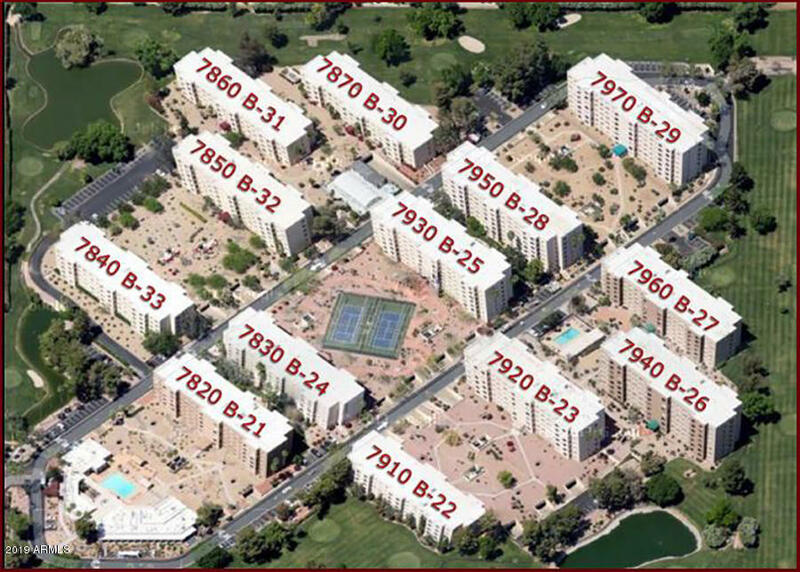 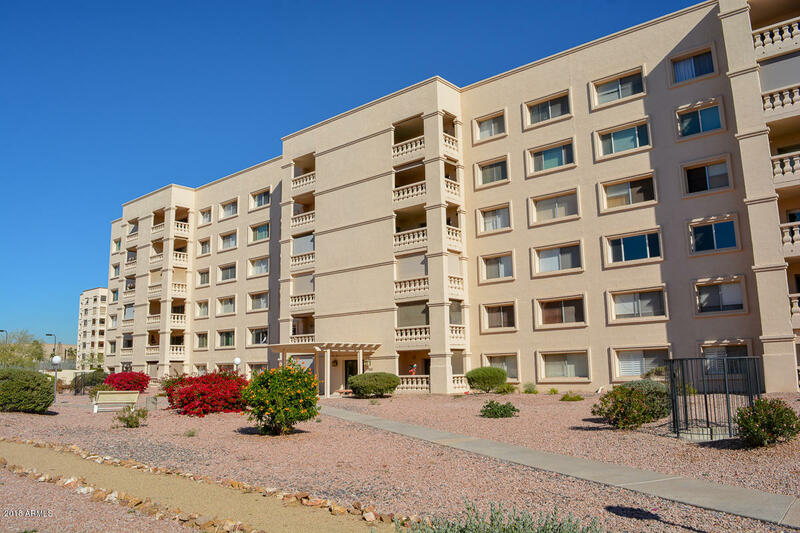 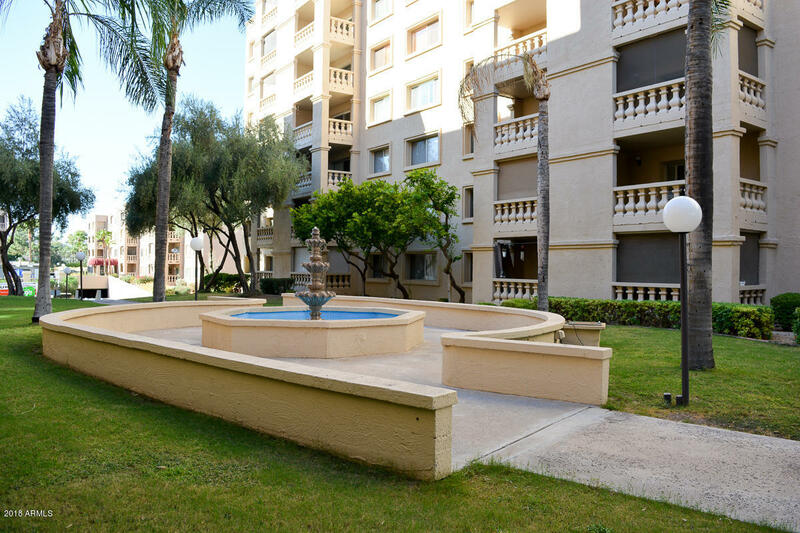 Amazing 2 BR/2 BA Condo in Scottsdale Shadows 24 Hour Guard Gated Golf Community. 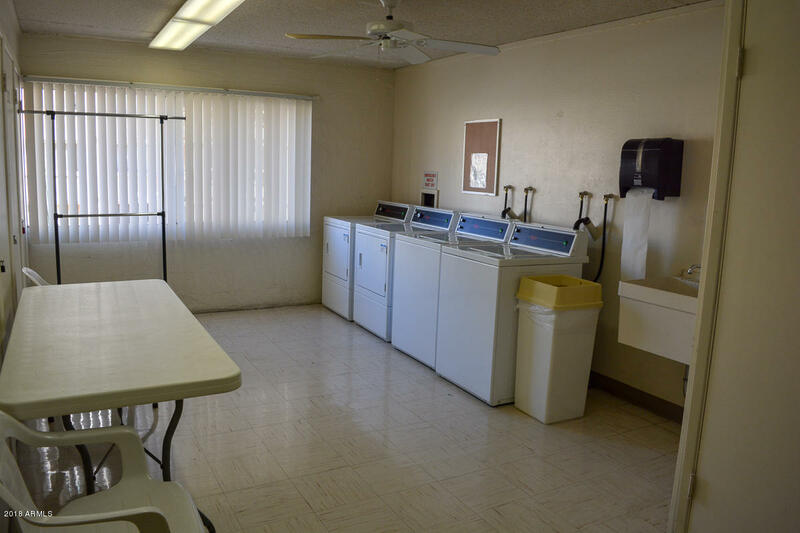 Owned since 2000, seldom used, non-smoking, like new furnishings included. 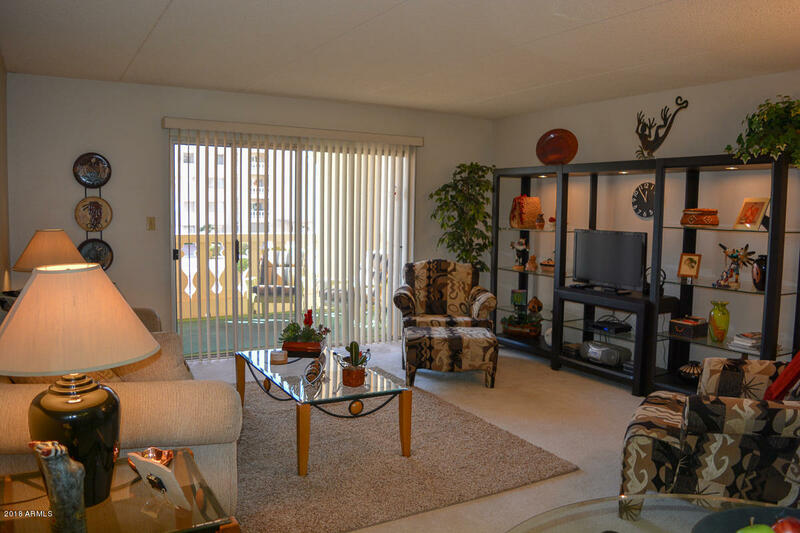 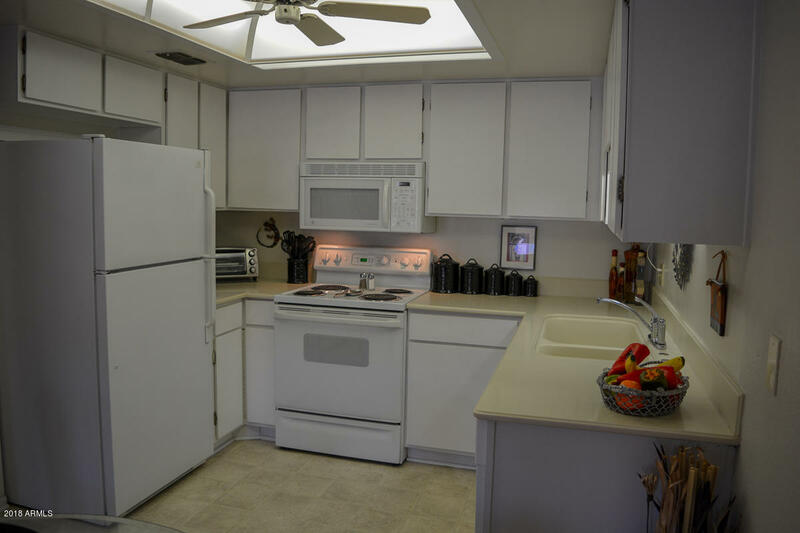 Unit upgraded when purchased including removing Kitchen to Living Room wall creating a great open floor plan. 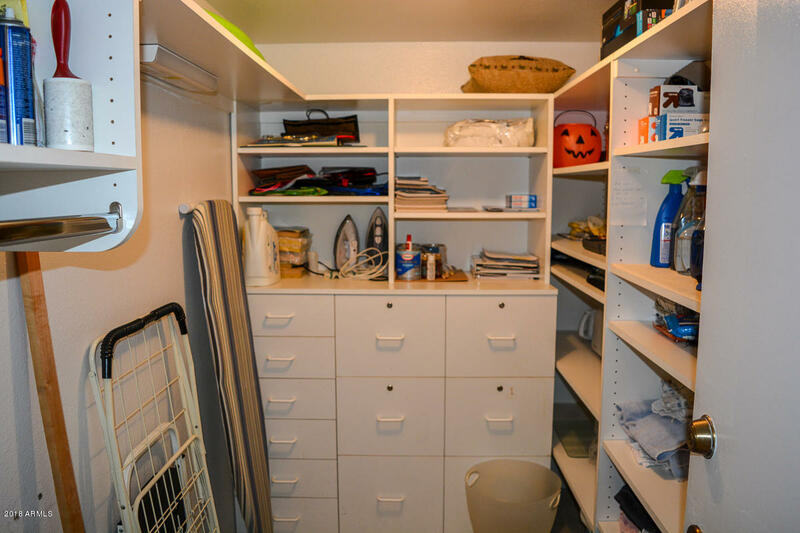 Large storage room plus lots of Kitchen storage space. 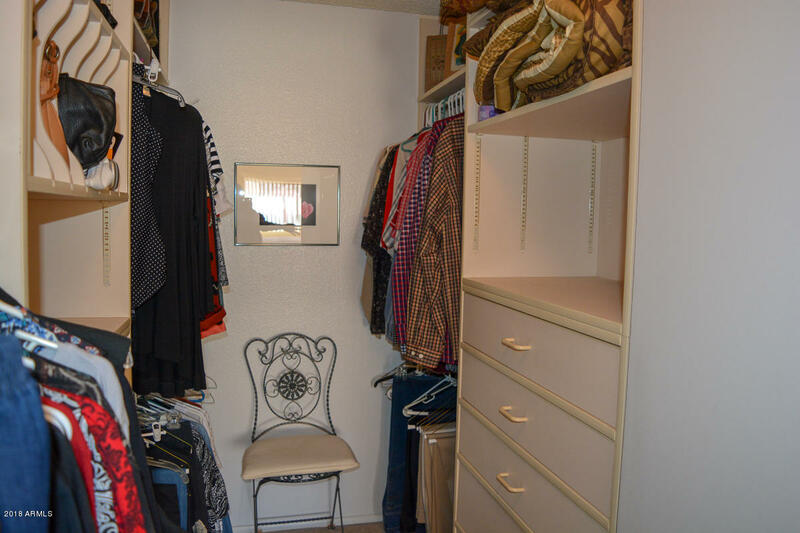 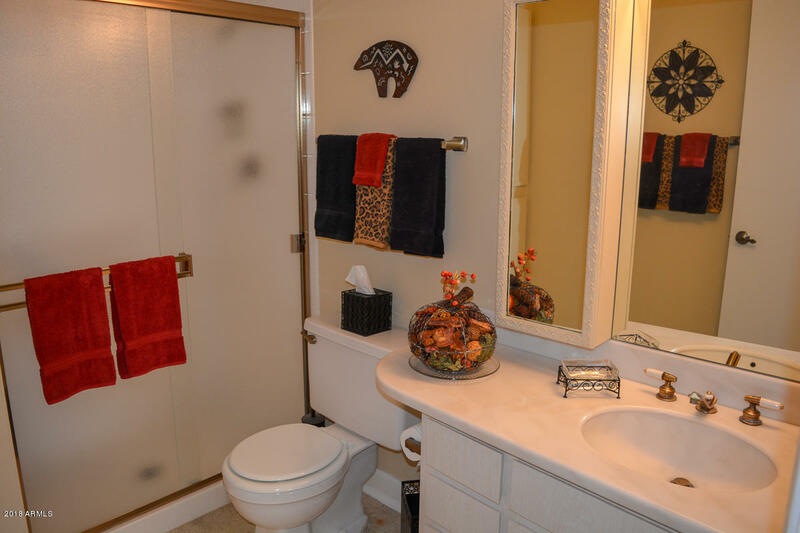 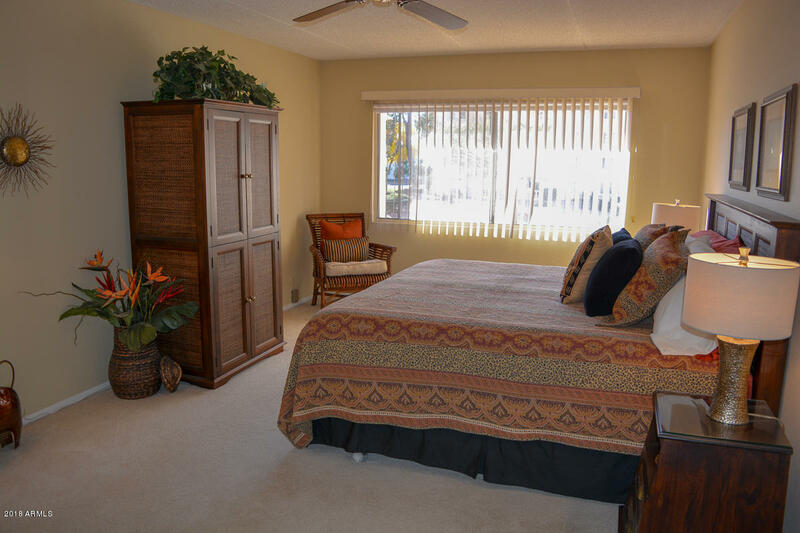 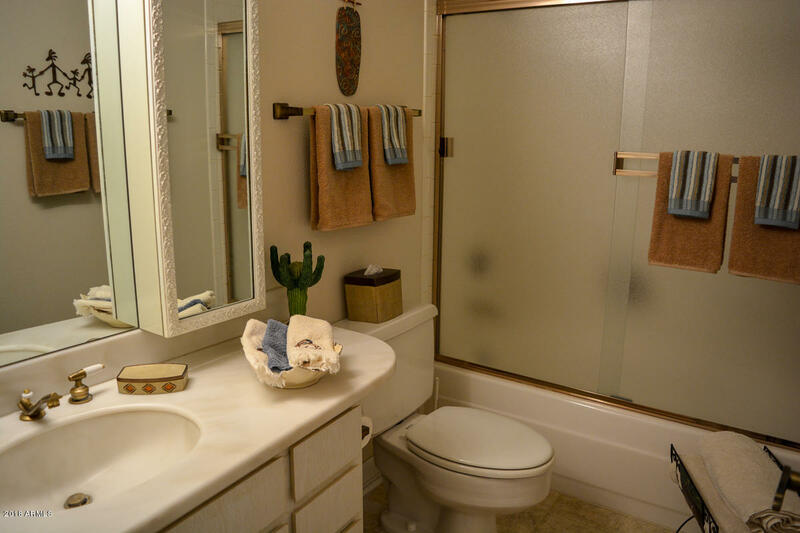 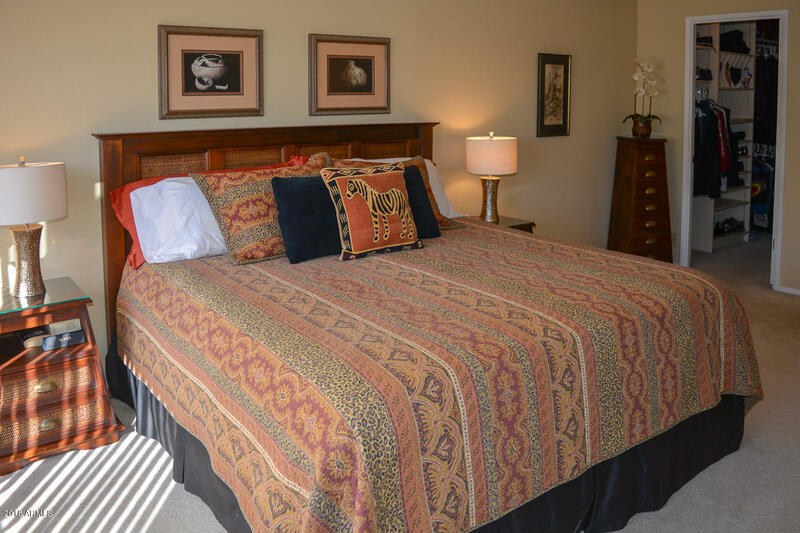 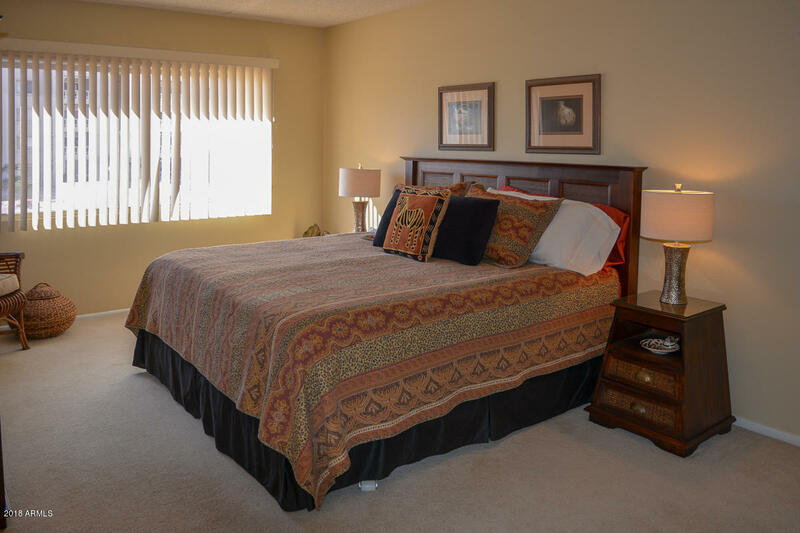 Spacious bedrooms, large Master w/walk-in closet and built-in organizers. 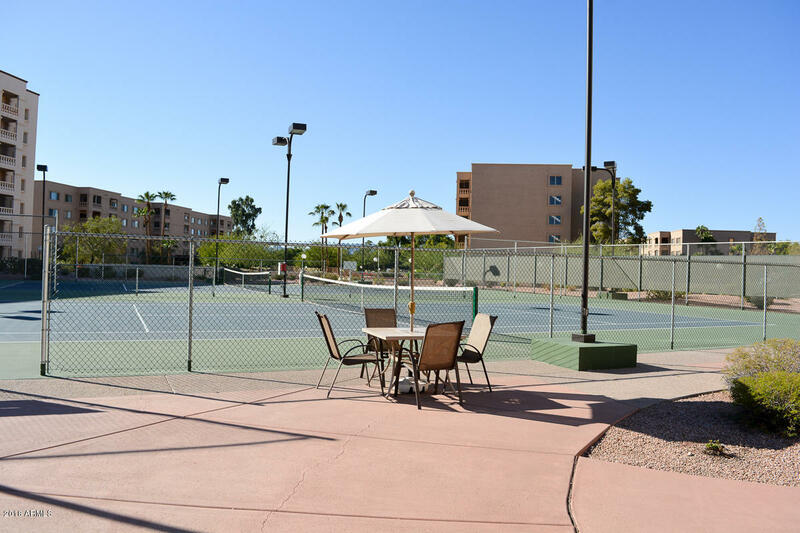 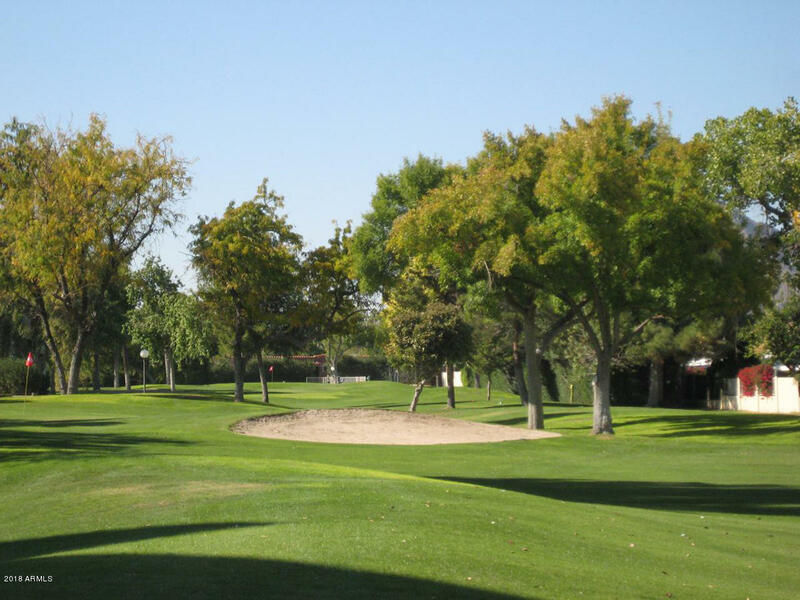 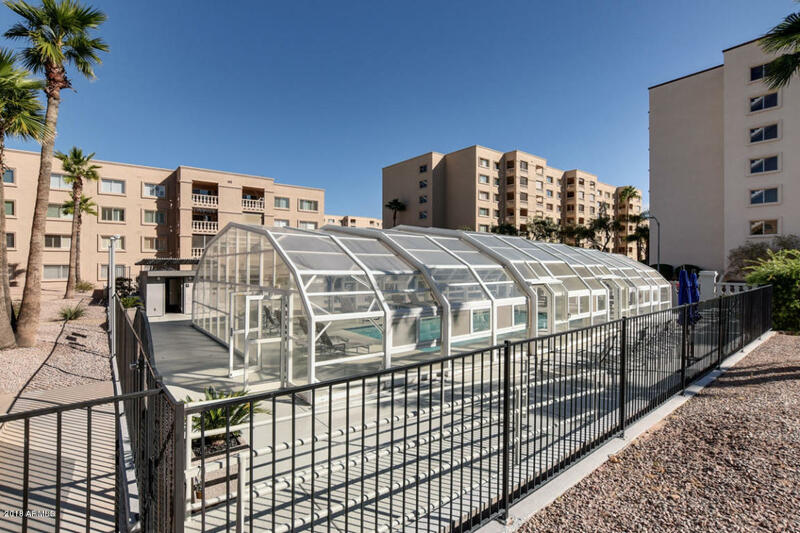 Community amenities include a private 9-hole executive golf course; 3 swimming pools, spa, outdoor BBQ's, 2 tennis courts, fitness center, library w/ wireless internet, art/ceramics studios, woodworking shop, bus service, full-time activities director and more! 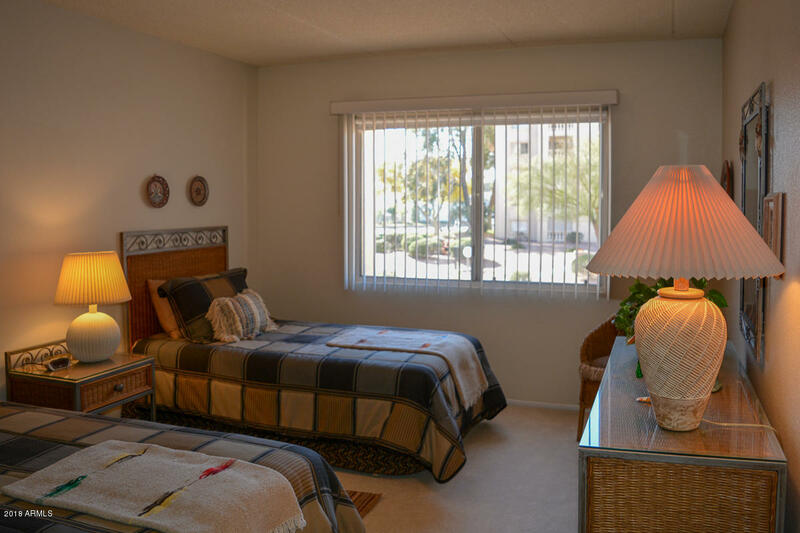 Centrally located in South Scottsdale close to Fashion Square, dining, entertainment, spring training, golf, car shows and endless activities.